We love sharing the word of God with children here at Christ Memorial Presbyterian Church. 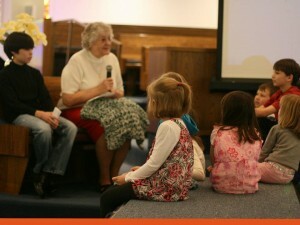 On Sunday mornings, we engage children in worship through the Children’s Message and Sunday Experience. LOGOS is a mid-week ministry open to all young people from preschool through high school. Every Wednesday night, all young people participate in four parts offering a “whole child” approach to Christian nurture: Bible Study, Recreation, Family Time (dinner with the church “family”) and Worship Skills. Looking for an opportunity for your child to grow spiritually, learn bible lessons, play games, and share Jesus’ love with others during the summer? Consider enrolling your child in Vacation Bible School! A popular summer program at Christ Memorial Presbyterian Church, VBS is open to all children age three (must be completely potty-trained) to those entering fifth grade. All are encouraged to attend CMPC’s GIFT events as we gather monthly for Bible study, food, and fellowship. Sometimes we will meet right after worship and other times we will meet on a Sunday evening or a Saturday morning. 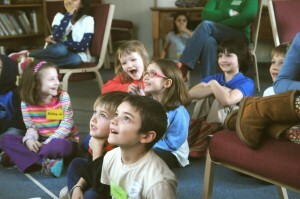 Sometimes we’ll keep all ages together and sometimes we have age-specific breakout sessions. We like to mix things up. There is no charge, but donations toward the meal are accepted to help defray the cost.